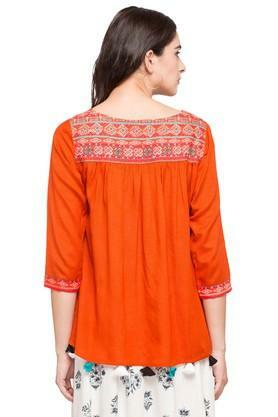 Stand out from the rest by wearing this top presented to you by Imara. It has been tailored with a superior quality fabric that will keep you in comfort throughout the day. 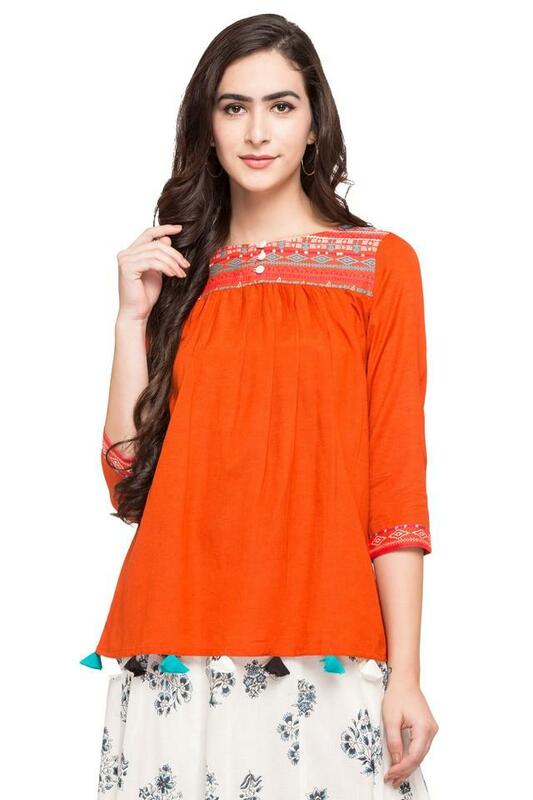 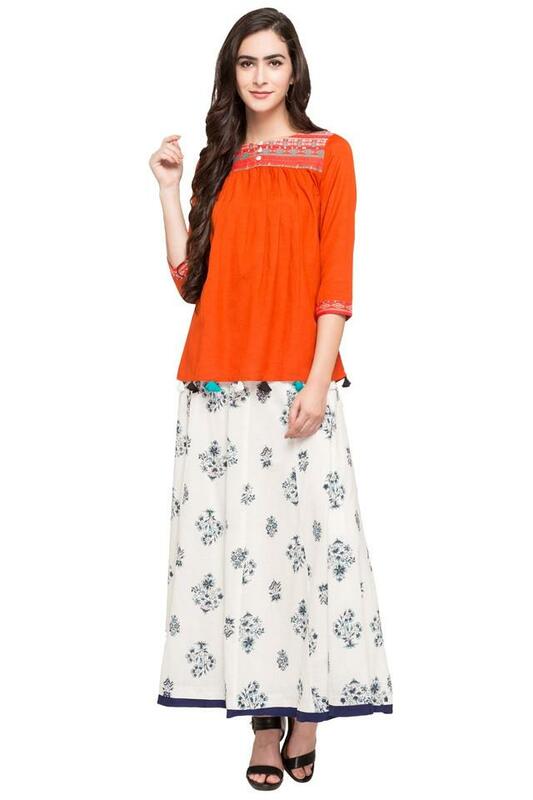 Featuring a solid pattern, it also comes with a printed front and back yoke that renders it trendy. 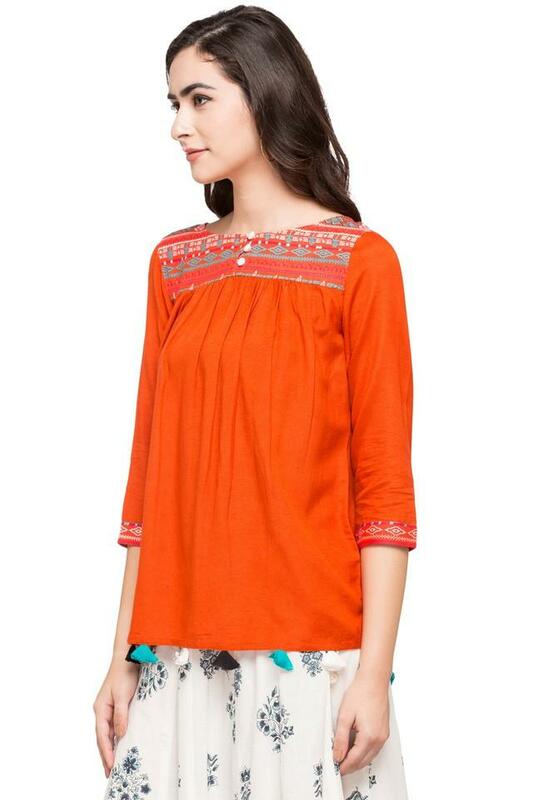 Make a fashion statement by wearing this top, which features a solid pattern. Club it with a pair of jeans and heeled sandals to complete your casual look.